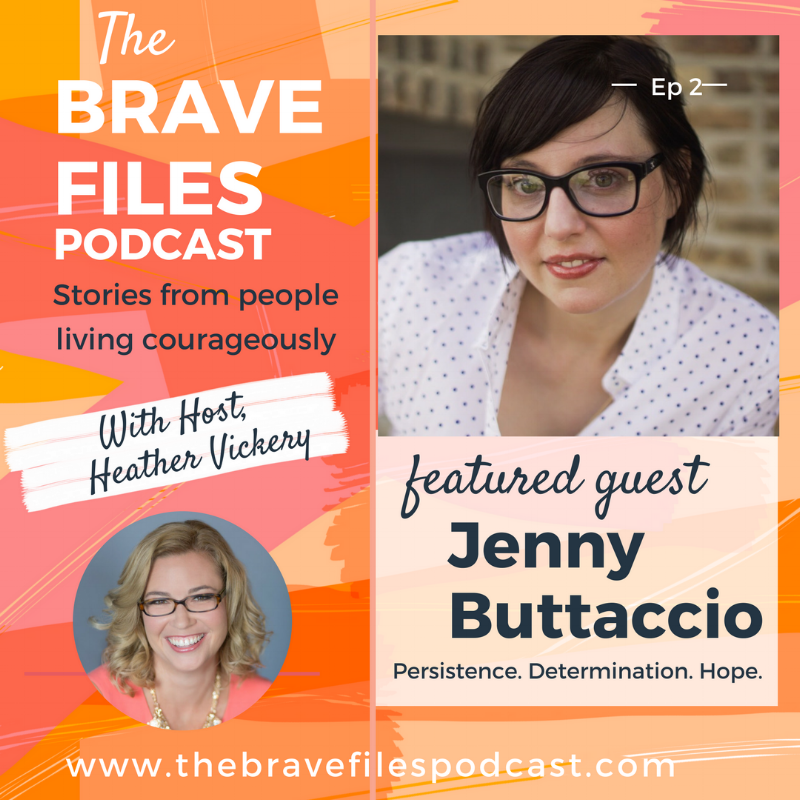 Jenny Buttaccio joins us to talk about her emotional journey through self-discovery and strengthening. 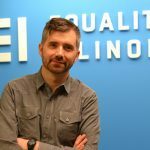 All of this really began with the formation of Lyme Disease which went undiagnosed for many years. Jenny, former Occupational Therapist and now writer, has had Lyme Disease since before 2005 but didn’t have a diagnosis until nearly 2013. This disease certainly changed the way she lived but hasn’t stopped her from living a fulfilling life. Be it in sickness or in health, all of us face problems that, at times, tend to take us back and put life on hold. Unsurprisingly, thoughts continuously fill our brain. Those thoughts can convince us to be scared. They have the ability to convince us that we shouldn’t keep moving forward. However, at some point, one must reflect on themselves and those thoughts and recognize them as just that: thoughts. Thoughts, especially those without weight, are temporary and shouldn’t hold us back from chasing what we want. “Life is a series of beginning and ends. Just because something ends, doesn’t mean it’s the end of your life”. Fortunately, Jenny's thoughts and her health have not stripped her of the desire to live. Her story is amazing. Sit back and listen close, we have a special one for you this week. Many thoughts are weighted in nothing. Recognize those and let them pass. The end of an era is not the end of your destiny. Jenny also loves to support charitable organizations as well, a couple of her favorites include Project Lyme and The Beagle Freedom Project. 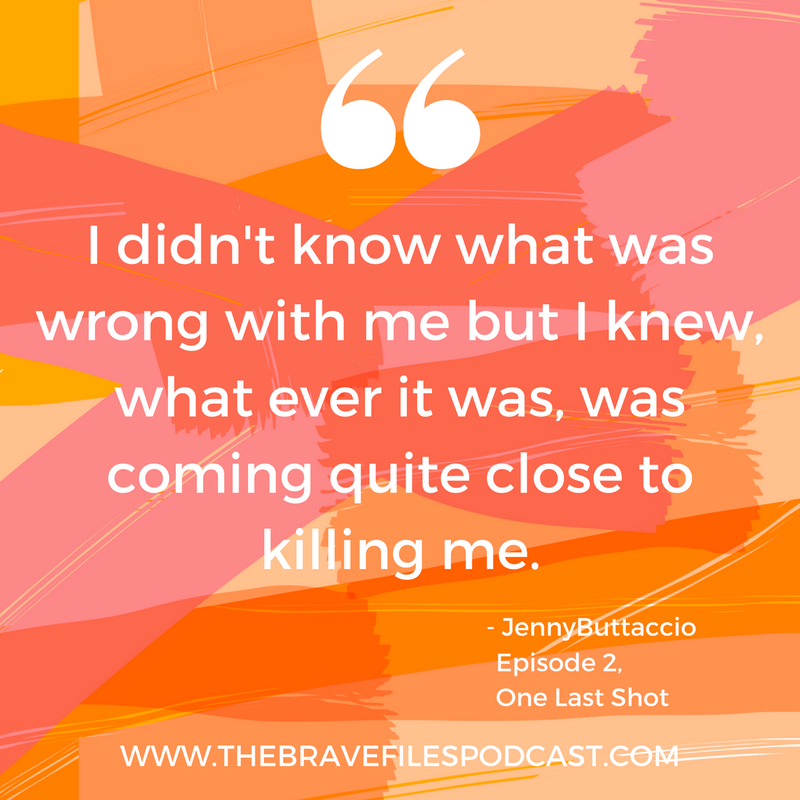 Jenny Buttaccio is a former occupational therapist and now blogger/published writer on many different websites. 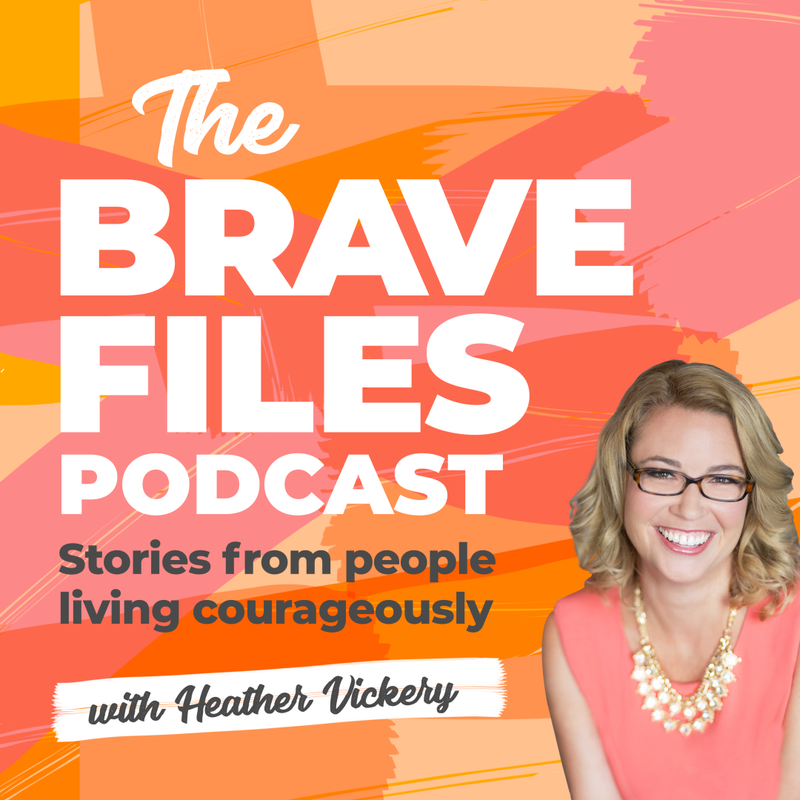 In 2005, Jenny started a journey that turned into a discovery that she had Lyme disease, something that changed her life forever. 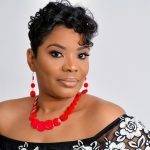 Through many dark days, Jenny continues to push forward,and is now writing over 20 articles a month, spanning over numerous different websites. 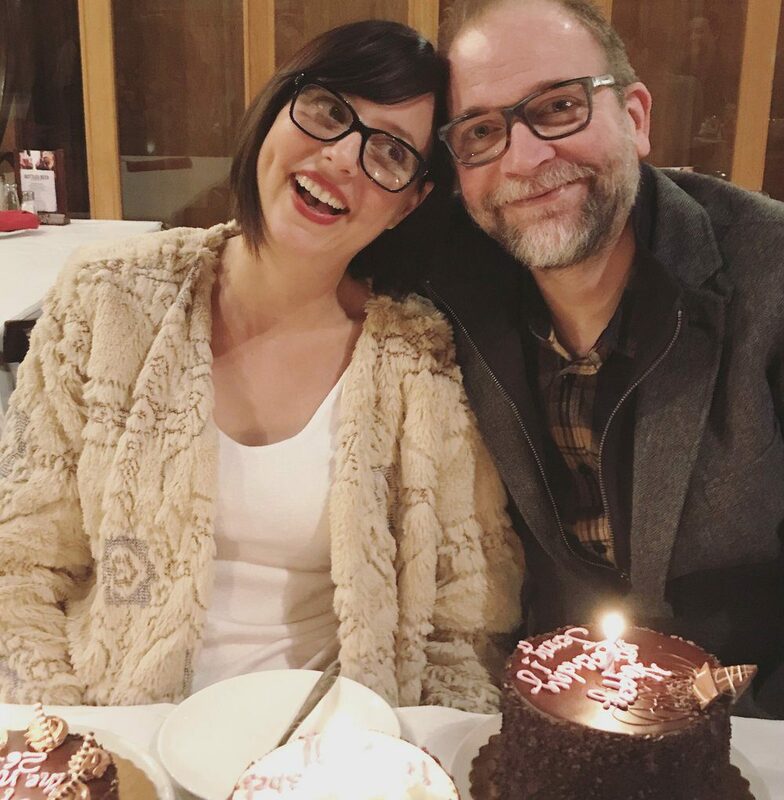 Jenny and her husband, Tom, celebrating her birthday. 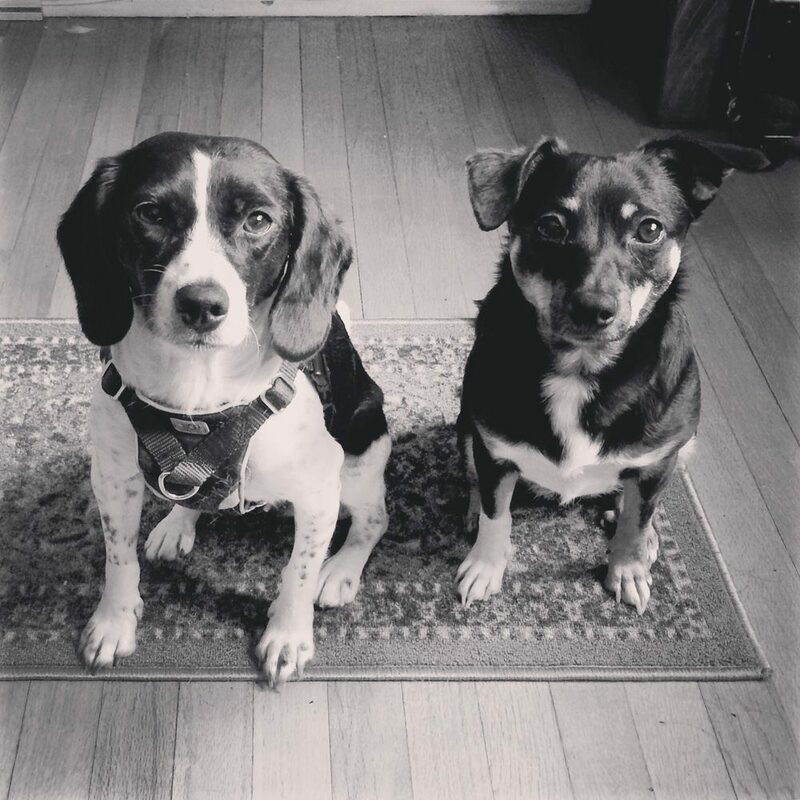 Jenny's dogs, Opal and Emmi. She calls them her "little joys."